ParaNexus is an association of paranormal researchers and paranormal investigators who conduct paranormal research and paranormal investigations involving ghosts, spirits, alien abductions, UFOs, unknown creatures, unexplained phenomena, psychic phenomena, and other mysterious events. Visitors can report a UFO sighting, hauntings, and other paranormal events via our 24 Hour Helpline. ParaNexus also offers paranormal investigator certification, paranormal certification, training, paranormal classes, and paranormal courses. Keyword Search Result for "Grip "
Travel across India, and you will find that the majority of Indian People believe in existence of Spirits and Ghosts. Why should not they? They have been reading about the spiritual realm everywhere; In the holy books, from word of mouth, movies, shows, newspapers, TV and even some of them have experienced the strong existence of invisible entities. In my journey of Paranormal Research, I also studied the names and types of Spirits people recognize in Indian Society. I was amazed to know that whether the names of spirits across the world is same or not but their nature seems to be quite similar in all religions and beliefs across the world. 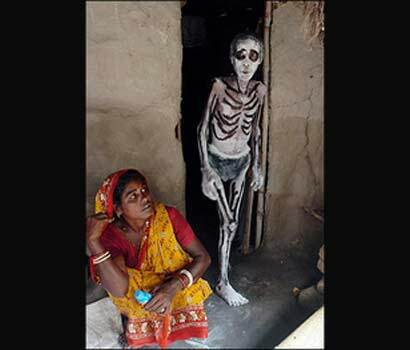 Following is the list of Ghosts found in several parts of India. The ParaNexus Association of Anomalous Researchers | © Copyright 2008-2012 Doug Kelley. All rights reserved. This site works best with any browser other than Internet Explorer. Please use Google Chrome, Firefox, Opera, or Safari for best results. Page created in 0.062 seconds with 86 queries.